Ashley is a VIU Alumni and holds a Bachelor’s Degree of Business Administration with a Marketing Concentration, along with over 10 years of customer service and sales experience. Prior to becoming a licensed REALTOR®, she worked on the Parker Team as the first point of contact for incoming inquiries via phone, email, and the website. 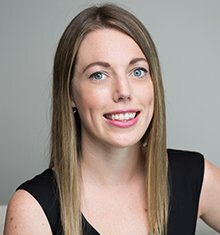 Ashley is always quick to respond to client’s inquiries to make sure they don’t miss out in this busy market and enjoys working with clients to help them find a property that suits their needs. With her expert experience, Ashley is able to provide a superior level of customer service throughout the home-buying process. Ashley also has strong ties to the community and currently sits as the Vice President of the Haven Society Board in Nanaimo.